Kathara Indigenous Pilipino Arts Collective Canada whose origins are with the Bagobo tribe in the Southern Philippines, has existed since 2002. Kathara inspires diverse individuals and communities to empower themselves, collaborate and be creative in their identity in their vision to create peace through arts, music,dance and martial arts. For Kathara, the journey of decolonizing through Pilipino indigenous storytelling, arts, music and dance began deepening indigenous relations on Unceded Coast Salish territory and Turtle Island 16 years ago. Co­founder/Artistic Director of Kathara Pilipino Indigenous Arts Collective, Babette Santos and founder of Butterflies in Spirit, Lorelei Williams with elder Lillian Howard create presentations exploring ideas of reconciliation and decolonizing indigenous identity, creating awareness of Murdered and Missing Indigenous Peoples in Canada and Philippines. Together they discover their strength in the medicine of traditional ceremonial songs and dance, and the steps to move forward in fusion and contemporary approaches to tell their story. 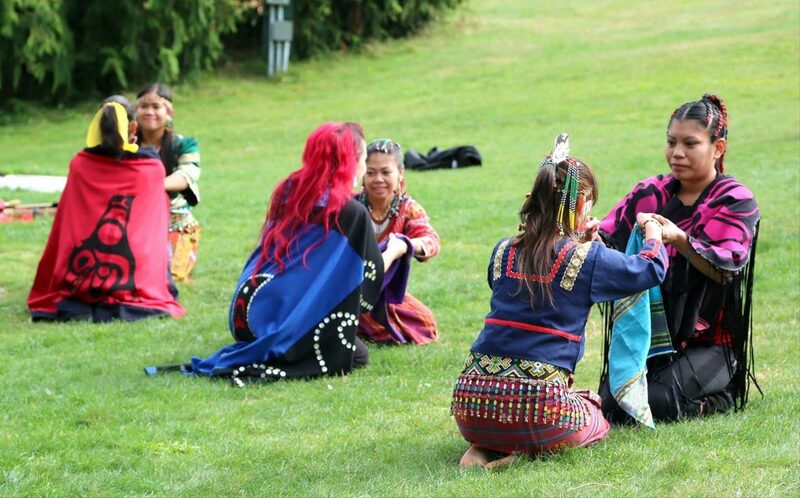 Kathara and Butterflies in Spirit are in their 2nd year of collaborating in Vancouver elementary and high schools,local festivals, TSF 2017-2018 and recently presented their work in decolonizing in Unceded Coast Salish international conferences Third international Babaylan Conference In Squamish territory And Indigenous Roots of Expressive Arts Conference in Winnipeg. Together they sing, they dance and they heal.